The two story float homes resemble little cabins on the lake. 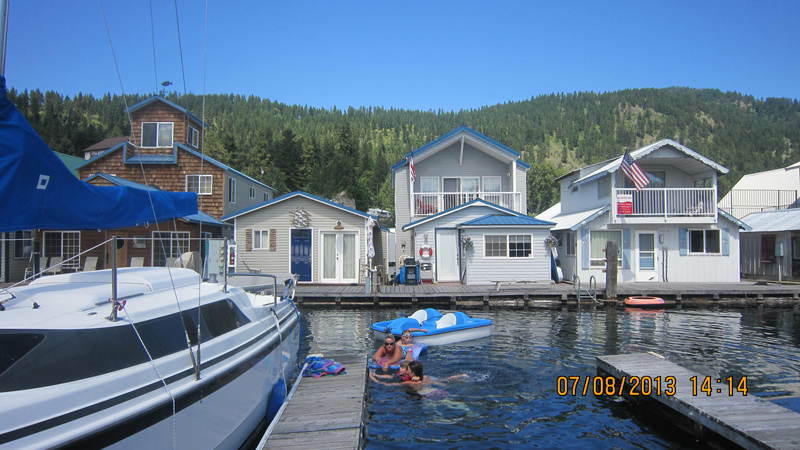 Float homes in Scenic Bay July 2013. Many of the homes have been remodeled to modernize the inside to include full kitchens and bathrooms. Second stories have been added which requires additional flotation devices so the home will not tip over. Courtesy of Powell Shoemaker.